no matter how many times i do this, it just never gets old. Oh little baby onions! I saw the roots starting down from ours yesterday, can't wait for little green shoots to spring up! You are so right...I always seem so surprised when I see the first signs of the seed coming through the earth. And then, it brings on a smile....another year of gardening! Yes, you are right. It's life! I agree whole-heartedly! 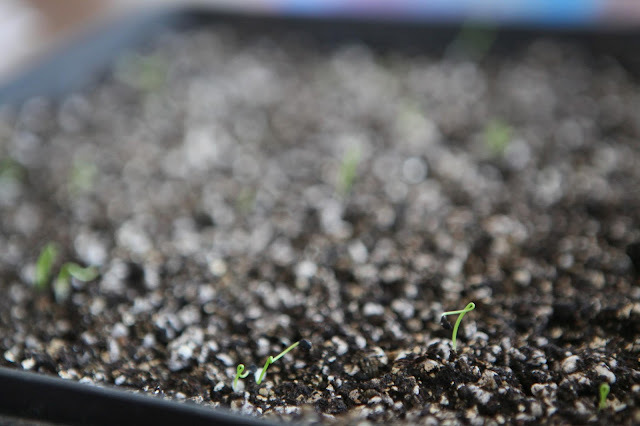 To see seeds sprout is to truly experience a miracle. I second (third, and fourth) the pervious sentiments. Newborn plants are magical every time. Perfect. Tiny shoots of life are amazing! *love* new sprouts, the promise of a great garden adventure. We all enjoyed a snack of garlic chives this evening from the children's garden. My kids made sure that the hens each had a special snack as well--worms! 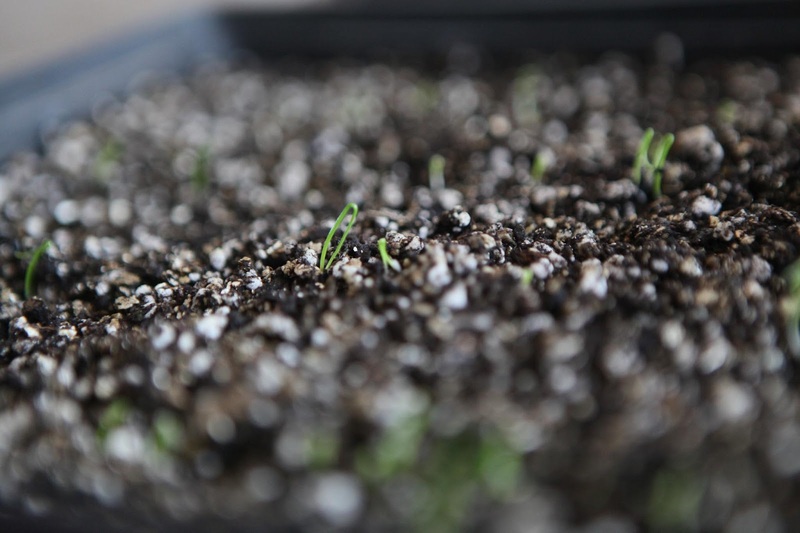 There is something about planting a brown seed and watching a beautiful green sprout come forth from the ground that makes it exciting every year! Love it! Aw, they're so cute. Such a miracle really. I wanted to tell you that I was very glad for the book recommendation and would definitely be interested in whatever raw dog diet info you have to share! I think the more natural the diet, the healthier and happier he'll be! Looking good. Can't wait to start ours! Agreed. : ) Wonders never cease. It's amazing! Not only am I showing my son where food comes from, but I get to experience the wonder and amazement of it all over again! Seeing anything grow is really exciting. Plants is no different.